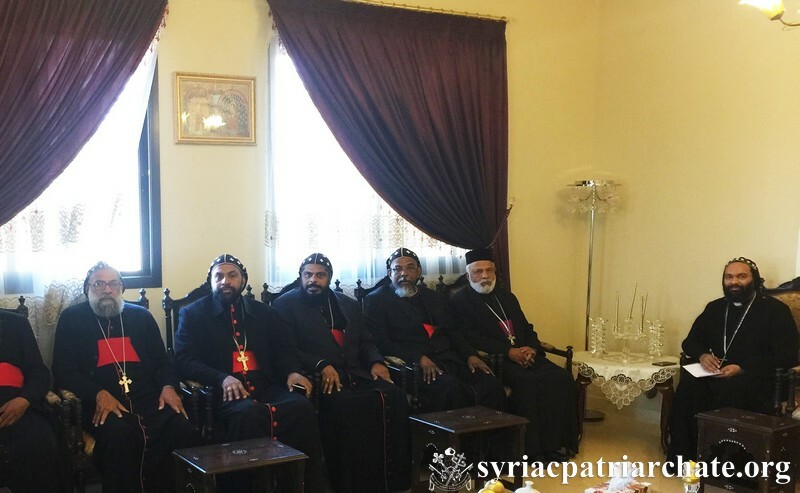 His Holiness Patriarch Mor Ignatius Aphrem II met with a delegation of Archbishops from India at the Patriarchal Residence in Atchaneh. Their Eminences Mor Deevanasios Geevarghese, Metropolitan Reesh Dayro of Gethsimon Dayro, Mor Dioscoros Kuriakose, Metropolitan Reesh Dayro of Malecuriz and Simhasana Metropolitan of Northern Region, Mor Athanasius Geevargis, Metropolitan Reesh Dayro of Manjinikara and Simhasana Metropolitan of Southern Region, Mor Theophilos Kuriakose, Resident Metropolitan of MSOT Seminary, Mor Chrysostomos Markose, Metropolitan of the Evangelistic Association of the East, Mor Anthonios Yacoub, Metropolitan of the Honnavar Mission, and Rev. Fr. Adai Jacob, Corepiscopo Principal of MSOT Seminary, were present in the meeting as well as His Eminence Mor Timotheos Matthew, Patriarchal Secretary for Indian Affairs. His Holiness discussed with their Eminences the situation of the Simhasana Churches in India as well as the institutions that are directly under the Holy Throne. The Metropolitans submitted their reports on the work and progress of their parishes and churches as well as the spiritual activities that they are doing in the difference regions of Kerala. 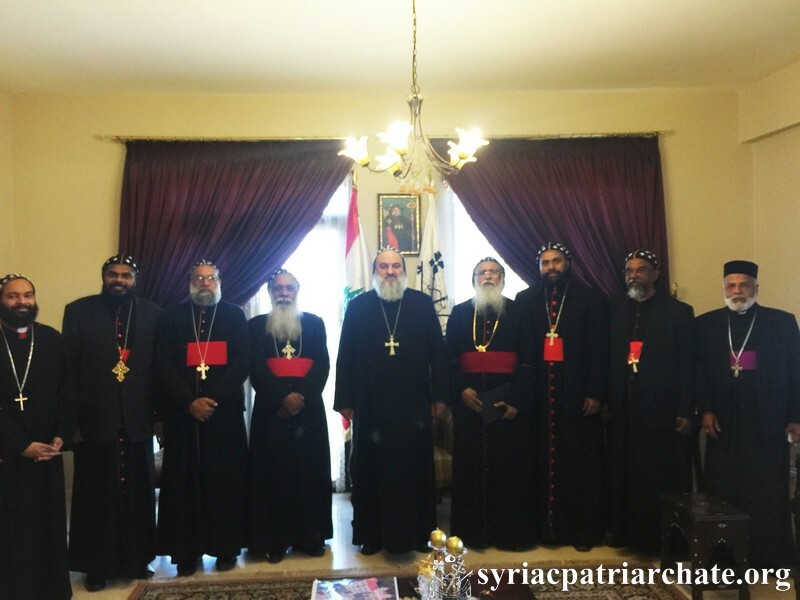 This entry was posted in Featured News, News and tagged His Holiness, India, Patriarchal Residence, Patriarchal Secretary, Syriac Orthodox Church by Orthodoxy Cognate PAGE. Bookmark the permalink.